Photo by Rick Moore -- Brad Walker has pounded the pavement, performing across the globe. Now, he is performing with superstar Sturgill Simpson. Photo by Rick Moore -- Brad Walker, a Baton Rougean who performs regularly in New Orleans, now has a gig with country singer-songwriter Sturgill Simpson. The road to success in an uphill climb, but Brad Walker is making quick work of it. 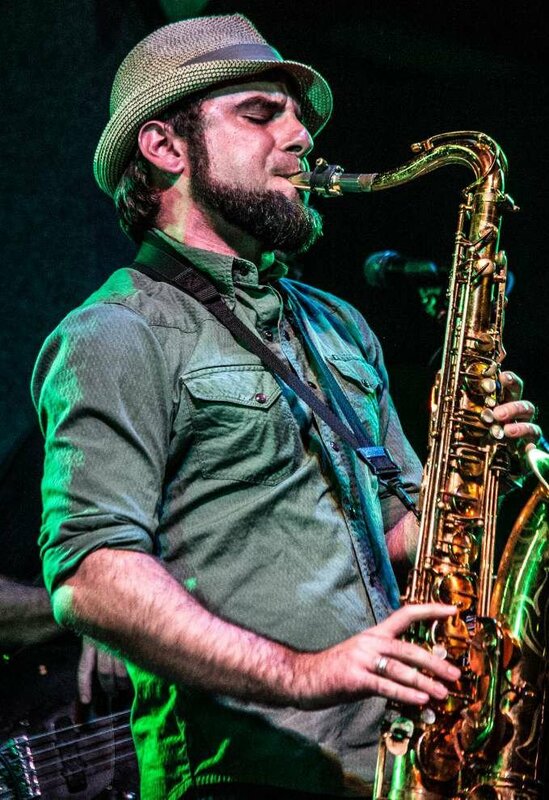 Now on an international tour with Sturgill Simpson, country music’s fastest rising star, saxophonist Walker has made it from LSU graduate student to main stage performer in a half-decade’s time. “It definitely isn’t luck,” Walker said. In New Orleans, a city brimming with saxophone talent, it’s safe to assume it isn’t just chops either. What sets Walker apart is his dedication to building something, one move at a time, with end value in mind instead of immediate reward. Walker, who studied jazz at LSU, is always open to new opportunities, focused on finding ways to grow musically. 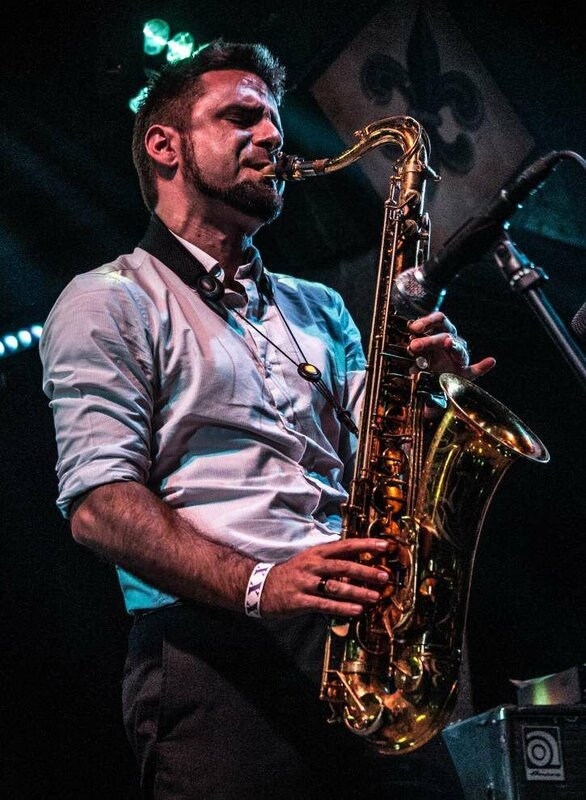 Over the years, Walker has performed with a catalog of New Orleans heavy-hitters, including Eric Lindell, Billy Iuso, and Johnny Sketch and the Dirty Notes. Calling himself a “professional sideman,” Walker prioritizes collaboration. He emphasizes the importance of following what is best for the music and learning to leave your ego at the door. That kind of collaboration is exactly what Simpson wanted when he tapped Walker to lead with his new horn section. While Walker may be new to country music, learning the ropes with a new band is old hat to him. Walker looks forward to playing Simpson’s new material, which he describes as “country soul music,” and bringing his signature sound into a new light. Simpson’s new album, “A Sailor’s Guide to Earth,” was released last week. The band, including Walker, will play in Houston, Texas, at White Oak Music Hall Lawn on May 10.